Three seemingly simple questions lie at the heart of why sellers win or lose. “Who buys?” “Who cares?” “What matters?” If you don’t know or aren’t sure of the answers, you may be in for a bumpy ride. In this 45-minute webinar we will discuss the importance of stakeholder mapping and how it can prioritize and customize sales activity. 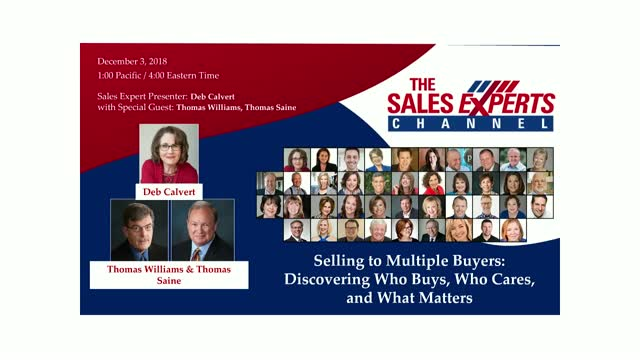 The information provided will be from Chapter I of the book entitled “The Seller’s Challenge: How Top Sellers Master 10 Deal Killing Obstacles in B2B Sales” which the presenters co-authored.